Recent reduction for a quick sale from 825.000? to 679.900?. 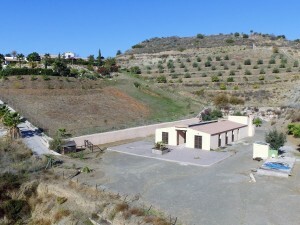 Beautiful Villa in Torrequebrada close to all amenities and to the beach. Ground floor: Entrance hall with access to the lift, large living room with dining area and fireplace. Fully equipped kitchen with access to storage, 1 bathroom. 1 Bedroom with fitted wardrobes and bathroom en suite. Basement: 2 bedrooms , 1 bathroom, storage and large garage for 2 cars. Exterior: Large courtyard with pool, garden area, barbecue house and laundry room. Property in excellent condition with LIFT in all floors, air conditioning cold and heating, electric gate, hot water by solar panels, climalit windows and marble floors. Plot: 784 m2. Total built size: 277,03m2. Living area: 222,47 more Porch and terraces: 54.56m2. Swimming pool: 15m2. 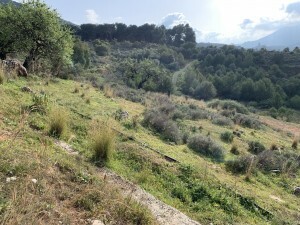 Park of La Paloma: 1,6km.